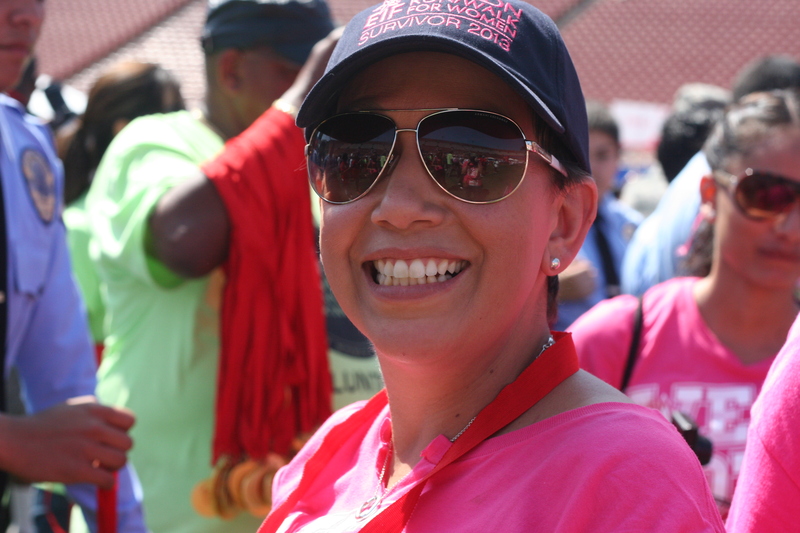 On May 11, 2013 I had the pleasure of walking beside my friend Nancy who is now cancer free and each day, every single solitary day is cause for celebration. 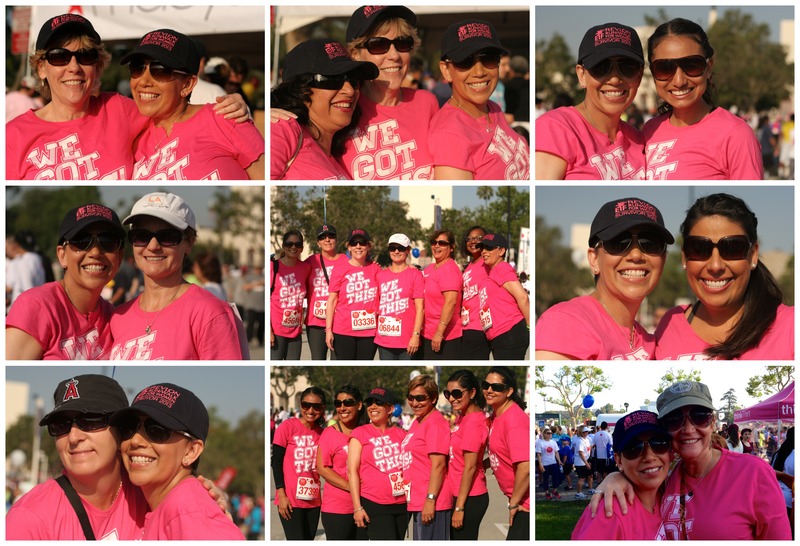 We walked in the 20th annual Revlon walk in our City of Angeles. You see when Nancy was diagnosed in August of 2012 it was no mistake that she wore heals and twisted her ankle and was in checking that out when she decided since she was there she mays well get a mammogram. Nancy is very positive by nature and I’m certain as she was going through the steps of the mammogram she wasn’t thinking for a moment there may really be cancer living inside her. I’m sure she expected a clean bill of health because that’s the way my friend thinks, in all positive ways. This wasn’t the case, the fact was she did have cancer living in her and so her journey was about to begin. Immediately she thought “I GOT THIS” She had to for her two children for her best friend in the whole world, her husband! “I GOT THIS” tag line quickly turned into “WE GOT THIS” because you see Nancy is surrounded by friends and family who love her dearly, she is so easy to LOVE, I happen to think this dear woman is LOVE. Nancy doesn’t meet a stranger, everyone becomes a friend. Nancy knew that with the support of her family, friends, God’s loving hand upon her that she would make it through this. She knew it wouldn’t be easy, she knew it would actually be the toughest thing she would ever do, but she faced it head on. 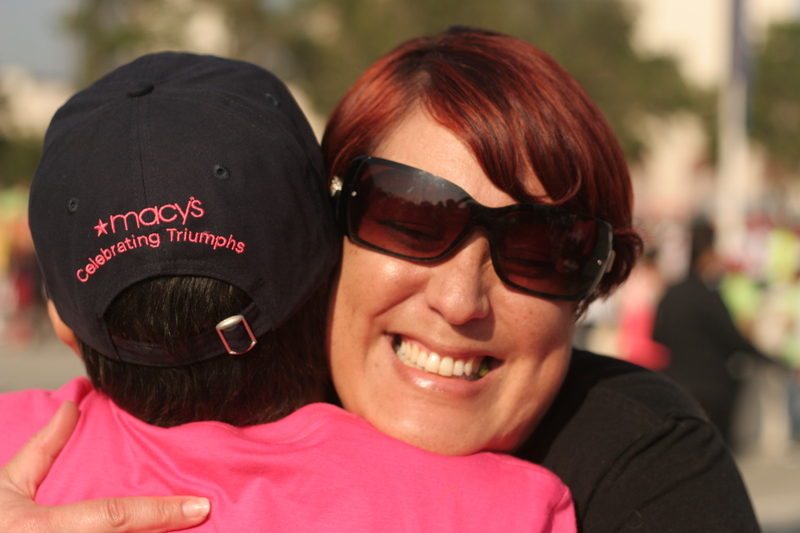 She would begin her 1st chemo in September 2012 and just before her journey began, she came knocking on my door. School had been underway for a short time and our girls go to the same school, in the same grade and so she decided she didn’t want me to hear it through the grapevine but from her own lips. So she knocked on my door and she had a gift for me….sort of belated birthday gift. She gave me my super cool camera lens coffee mug with some tea packets and then smiled and began to tell me her story of how she came to KNOW. 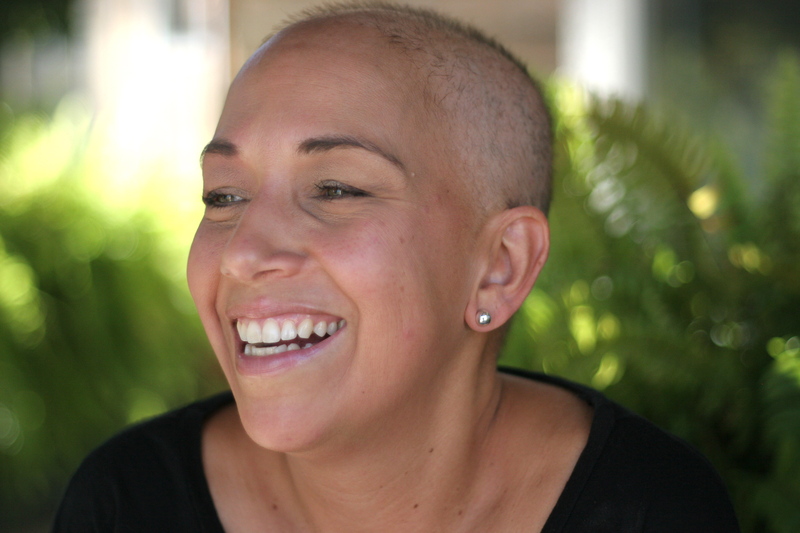 How she came to know she was given cancer and how she was ready, she was so ready no matter the outcome, she was READY. She didn’t cry, she smiled and kept her positive outlook that she is so very gifted with, but me, well I’m sort of extra sensitive and so I cried. I cried and she comforted me, isn’t it supposed to be the other way around? She told me she was going to have a FB page, a group where we could all gather and support her, watch her progress. During the next several months she had a total of 6 chemo’s and it was hard, it was so hard but she kept positive even when her port got super infected and she had fevers and discomfort, and during all these months it wasn’t exactly smooth, there were ups and downs but through it all she stayed her positive self. I remember when November came she shared with us each day what she was thankful for, she had so very much to be thankful for and for me watching on the outside it was a testimony. I remember going to visit Nancy one afternoon and I wanted to take her pictures, she is so pretty and honestly she looked even prettier to me without her wig, she is just gorgeous, she radiates joy and God’s love. She walks in His light and it’s obvious to me she is different because of this. At the end of our visit she grabbed my hands and asked to pray for me! Again, wasn’t I supposed to be praying for her? She is amazing, just completely amazing. There is so much more to this story, so much more but the long and short of it is this. She began Chemo in September of 2012 and had her last chemo just after Christmas in December 2012 it was a whirlwind a total of 6 chemo sessions, they don’t mess around, and by January 23rd 2013 Nancy announced she was cancer free! 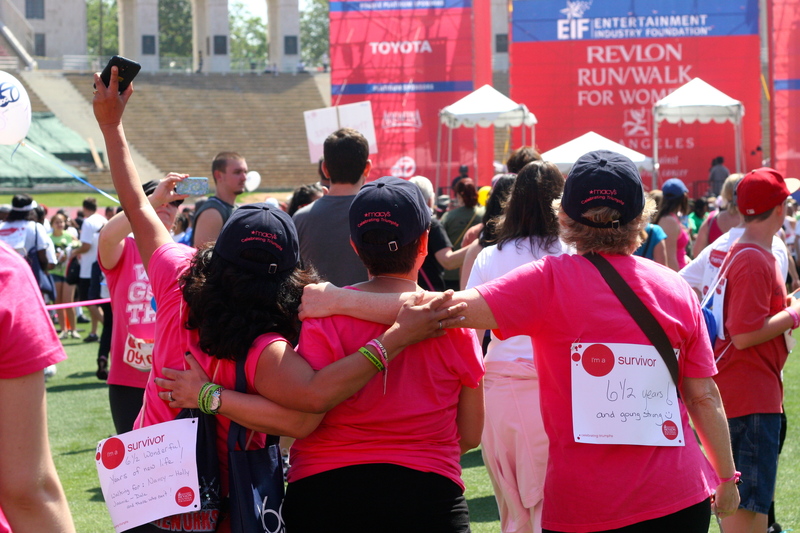 On March 13, 2013 she underwent a five-hour plus surgery and had a double mastectomy and on May 11th 2013 she was walking in the 20th annual Revlon cancer walk, alongside friends and family and other friends who are also survivors forever now giving them a special bond and a sisterhood! It was my pleasure to be there with her, to watch her cry with tears of joy at the end of the walk, to see her friends and family give her hugs, arms intertwined and the love, all the love that day was a true blessing to witness. I know Nancy had the biggest faith ever while enduring this journey, all the pain, infections and recovery, she always kept her faith. I’m very grateful for my friend Nancy. WE GOT THIS, we REALLY REALLY GOT THIS. 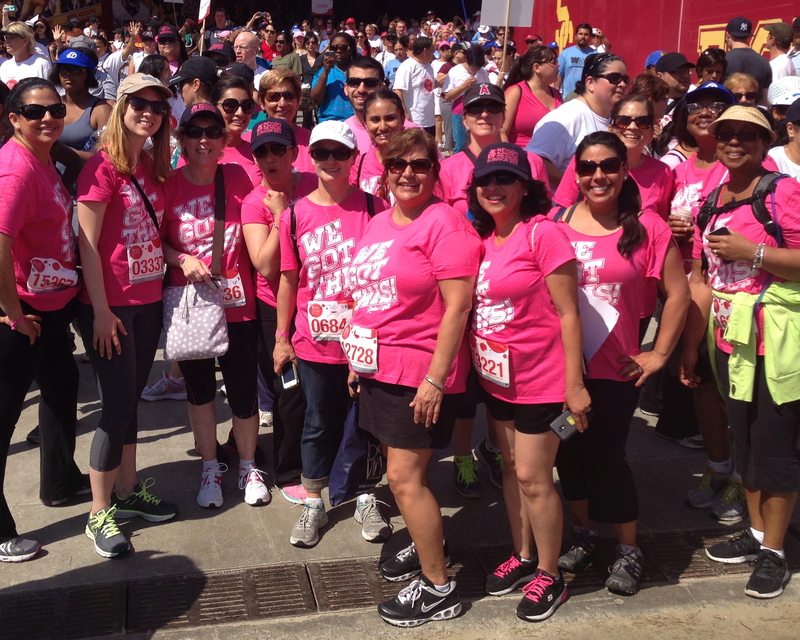 Posted on May 18, 2013 by Life in the Wylde West	This entry was posted in 2013, every day moments, gratitude and tagged nancy, revlon walk 2013, we got this. Bookmark the permalink. An amazing woman and an amazing story. Yup, you got this! This one Dear Doodle, has to be one of the best and I cannot exit without Praising our GOD for his gift of Nancy in our lives and your way to express gratitude to Him and for her. ….What an inspiration and example for the rest of us. I join the battle cry..
LOVE this. love, love, love. I’ve had the great pleasure of knowing Nancy all my life. She is my cousin and a perfect example of all things that are right with this world. Nancy exudes happiness, peace, and love. The kind of love that never judges, never wavers, and can always be counted on. For me, Nancy is an inspiration and I love her dearly.